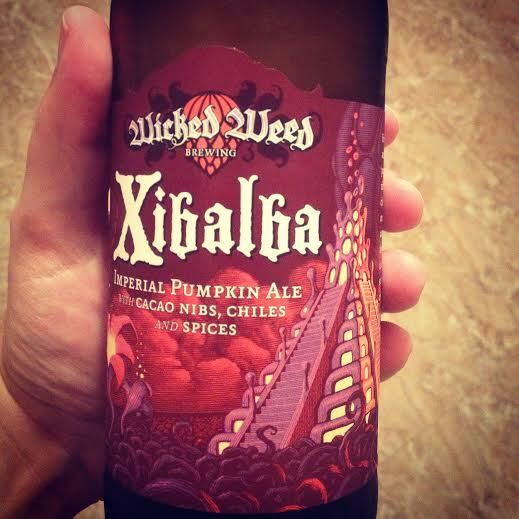 Visions of sweet, creamy pumpkin swirl through the mind frequently when pumpkin imperial ales are mentioned, or even though staunch possibility of a savory treat, but Wicked Weed has unleashed an ancient rite of passage worshipping seasonal change that demands fire and primitive hallucinogens. This hazel colored imperial pumpkin ale pours densely, topped with a fluffy, tan head. Instantly, a perfume of chocolate and habanero surges from the brew, as though summoning all closer to partake in tradition. Creamy pumpkin and cinnamon entwine themselves with rich cacao nibs creating a final embrace before all heat from the serrano, ancho, and habanero chiles slowly enflames the flavor with gradual heat on a roasted malt body. Though the heat lingers long after the chocolate has succumbed to the flame, the ale does take on a sweeter nature as it warms in your hand. Moxie. You have to have grown up in Maine to truly understand it. Malta Goya. You have to have grown up in San Juan to truly understand it. 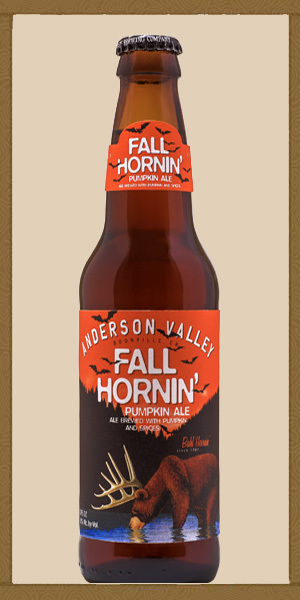 Fall Hornin’. You have to have celebrated high school Homecoming sports on a crisp Fall day, ended the night around a bonfire drinking with friends, and have spent the following morning eating brunch hungover to truly understand it. Confused? Oh, I’ll get there. Fall Hornin’ pours a lovely mahogany color with an aroma of yeasty bread, cinnamon, nutmeg, and sweet caramel. Starting as a brown sugar and caramel sweet treat, this brew quickly loads itself up with smattering after smacking of pumpkin puree doused with cinnamon, cloves and nutmeg. Just when you think that this light-bodied highly carbonated beer will explode from too much pumpkin, a ribbon of chocolate ripples through like an old timey soda pop. Done? Not quite. THEN, just when you think you’ve been tricked into drinking three separate beers, bitter hops kick in, wipe out the sweet, and round out this cornucopia of flavor. Too many flavors, too many feelings, much like high school reaching it’s peak of all the feels at Homecoming. Just when you think you can’t handle any more, it all ends and you wonder how you survived all that in one sitting. “You can’t blame all of your problems on the moon”, Brit (and soon to give birth) RMPumpkin Nicola once said to me. 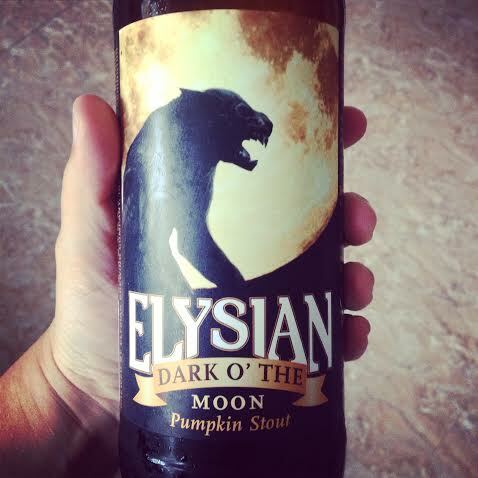 Don’t tell her, but she’s absolutely correct, as I could never classify this pumpkin stout homage to that mysterious side of the moon, so wonderfully musicalized in the past by Pink Floyd, as anything other than a visceral delight. This full-bodied stout releases a dense smoky aroma dripping with molasses, gingerbread, and tantalizing cinnamon. With barely any lacing, this stout pours a rich, opaque espresso hue. Having forgotten my knife and fork, I had to chew my way through the richness of this bitter chocolate loaf. Spiced with cinnamon, a phalanx of creamy pumpkin holds it’s own in the chocolate river, balancing out the bitter, before everything swirls into a smoky wisp of roasted coffee. Clear appearance, lighter than an amber, darker than a lager – appropriately, similar to the hue of a pumpkin. The aroma is mostly spice, and not much else. As expected from the smell, it’s a very light, crisp taste, finishes almost as light as a cider. Not much body, and a thin mouthfeel. An appropriate amount of pumpkin, so as not to overpower it. Similar amount of spicing – generic, some cinnamon and allspice, noncommittal in regard to sweet vs. savory. Slight bitterness in aftertaste. Few topics of conversation get me more twitter-pated than Maine. Maine, that glorious state of pine trees, lobsters, L.L. Bean, puffins, Otto pizza, Moxie, moose, and much, much more, you captured this born-and-raised girl’s heart three decades ago and I haven’t asked for it back since. That being said, and with no disrespect for the one area code “to rule them all” state, Maine is a rather large culprit in the unforgivably sub-par pumpkin beer brewing blight that plagues the industry. 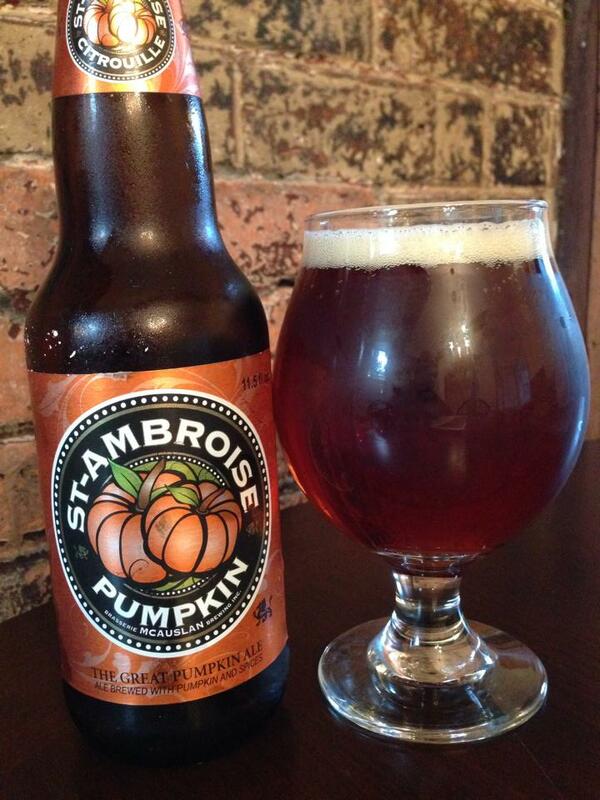 Pumpkin beer should not be a thoughtless, compulsory addition for every brewery. If you don’t care about nurturing the hopes and needs of a fine pumpkin ale recipe, then will actually receive praise for not adding to an already flooded market of pumpkin mediocrity. 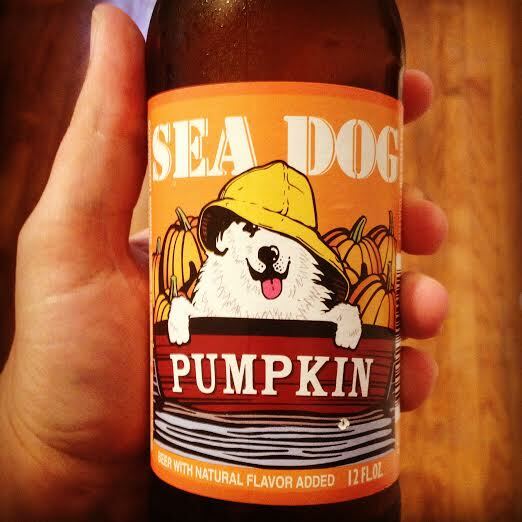 Sea Dog has undoubtedly felt the need to pump out an ill-advised ale, and tonight I sip protestingly from that marigold brew. This wheat ale gives off little to nothing of a whiff of cinnamon, nutmeg, and malty sweetness. The onset is far more present, albeit in a harsh, difficult to swallow way. If I said this tasted like a melted cinnamon candle spiced with potpourri, it would be an insult to the time and effort it takes to melt said candle, sprinkle in the potpourri, strain out it all out, and then chug. No taste of pumpkin, despite subliminal attempts from the orange of the label. The slight bite from the bready malt, gumminess from the wheat, and crisp fade all verify just how little thought went into this beer. Maine, I don’t hold you responsible, but I do wish you’d scold your breweries more to keep this from ever being bottled. On a side note, this is the second sink pour of the RMP season. If one were to liquify rusty nails and then sift out any remaining debris, it would look eerily like this Canadian pumpkin ale, but most likely not smell as heavily of gingery pumpkin bits and nutmeg with an air of astringency, as this import does. Weaving blond and caramel malts together, this light bodied ale is in many ways an internally combative one. Sweetness from the malt and pumpkin fights a harsh wall of spicing from the cloves, nutmeg, and cinnamon and hops in the watery body. More and more pumpkin intrudes on the ale as it warms, but throws off the balance already achieved by making a tartness occur with the malt. No cinnamon. No nutmeg. Sign me up. 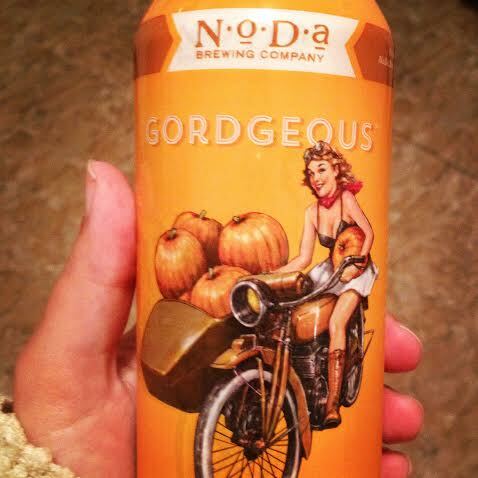 Attired in a festive orange tall-boy, the leather jacket of cans, this ale the color of a fading campfire smells of pumpkin laced with cloves. Reminiscent of many Oktoberfests, the bitter onset of this ale eases into heavy all-spice, cardamom, cloves, and a scoop of earth ginger. The brown sugar rounds out this wallop on the pumpkin puree, as this mildly sweet finish turns to a chalky fade. We first need to preface this review by admitting that neither one of us is the biggest pumpkin beer fan. Seems like every brewery is throwing their hat into the pumpkin beer ring with one spice bomb after another, but we were definitely intrigued when Boulevard announced that its entry into the pumpkin beer realm would be a sour. Pumpkin pie spice, Brettanomyces, barrel aging? Why are they doing this? How can this even work?… Well surprisingly, it does. The beer fills the glass with a slightly hazy, orange auburn hue like changing autumn leaves that reminds us that leaf peepers will soon be flooding New England to gaulk at. Cinnamon, nutmeg and ginger immediately hit your nose. On the first sip you get the brett funk up front, almost like a nice tart apple, which then subsides and finishes with all that pumpkin pie spice of cinnamon, nutmeg and a hint of all spice. If you were looking for big pumpkin flavor in this beer, you’re out of luck as it is subtle to nonexistent, but we kind of appreciate that it doesn’t taste like drinking a Yankee candle. 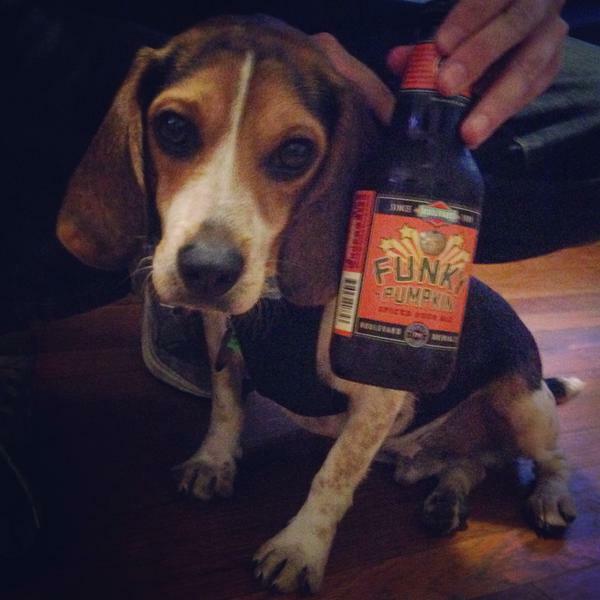 While Funky Pumpkin isn’t a smack in the mouth from George Clinton kind of funk, the barrel aging rounds out this beer to give it the mellow tartness that we totally dig. We both would give this an 83 or 84/100. Funky Pumpkin does not leave any party up to chance by kicking things off with a disco ball in the shape of a pumpkin, shining just a little extra boogie with leaf and stem. Pouring a brilliantly clear clementine hued orange, this sour immediately ensnares with a lightly soured aroma dazzled with ginger and nutmeg. The Brett yeast immediately splashes into this palate, tapering it’s pleasant sour wave into releasing a mild amount of pumpkin sweetened with barrel aging, and spiced with all-spice, and smaller traces of cinnamon and nutmeg. As this freshman Sour 101 warms, more sweetness is released into a vanilla smoothness from barrel, just not from trace amounts of pumpkin.